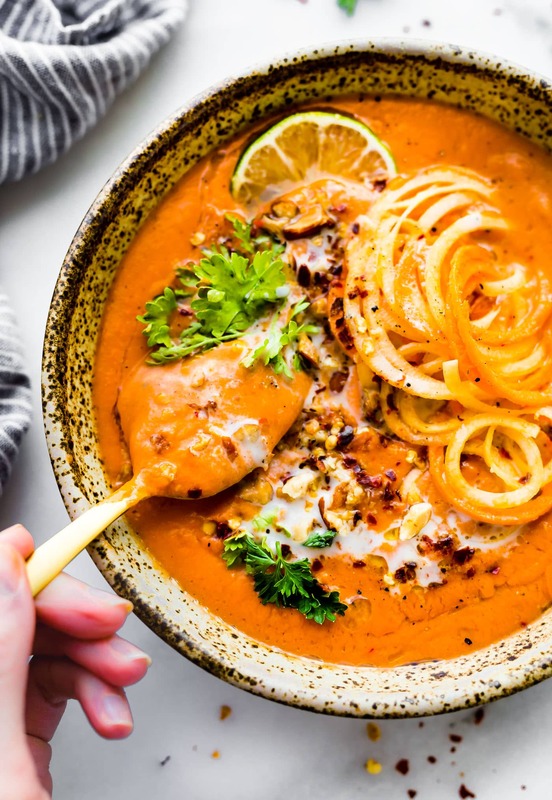 This creamy Zanzibar carrot-tomato soup is an African Inspired type of dairy free bisque. 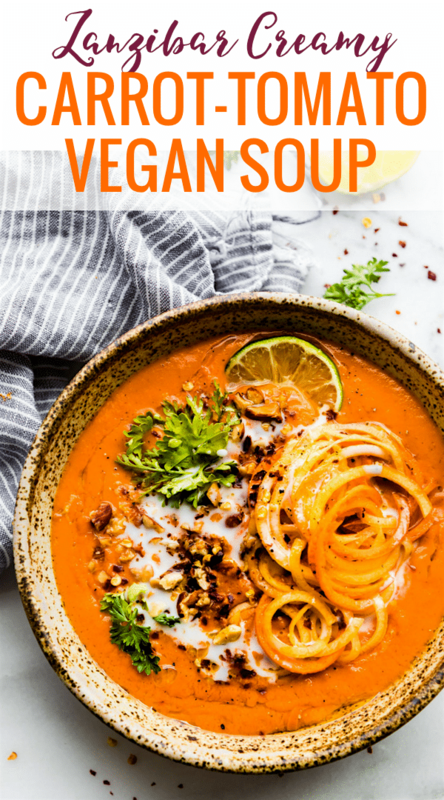 Made with simple wholesome ingredients such as peeled tomatoes, yellow carrots, spices, herbs, coconut milk, and a curry or chili paste. It’s quick to make and naturally paleo and vegan. A soup for any season! Do not judge. First of all I am posting on a Holiday, Labor day. I know, that’s Labor. At least it’s a labor of LOVE. And two, I made soup; creamy dreamy oh so delicious carrot-tomato soup. Ya, it’s not even Fall nor is it cold here. But y’all, it is SOOOOO tomato season and carrot season and I kinda sorta think this is the perfect end of Summer welcome Fall Tomato Soup. It’s soothing yet refreshing. It’s comforting yet nourishing. It’s flavorful yet UBER simple and easy to make. So ya, you cannot judge me for making soup when it’s 90F. Ok? Just go with. Plus, I have a major love for African spices and food since working at the orphanage. That should bring your judgement down a bit, yes? 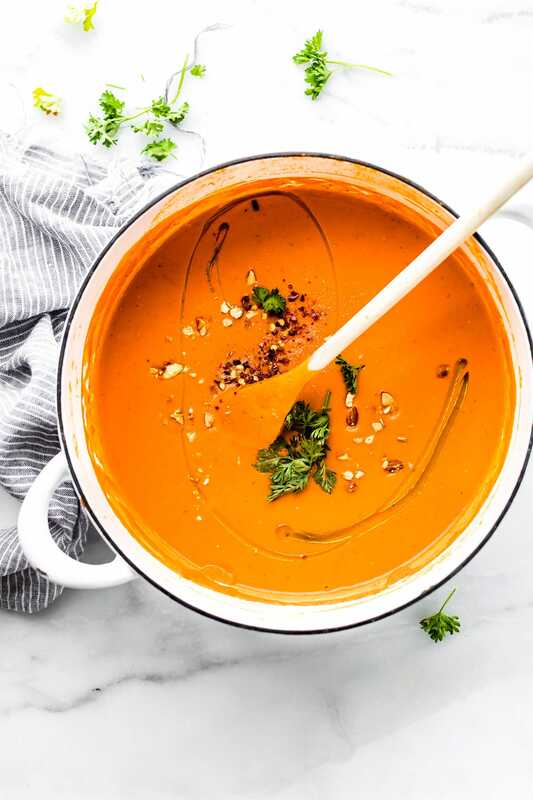 Okay but really, this African Inspired Zanzibar Carrot-Tomato Soup has so many wonderful healing nourishing ingredients, not to mention creamy deliciousness. I think you will love getting a jump start on soup season. 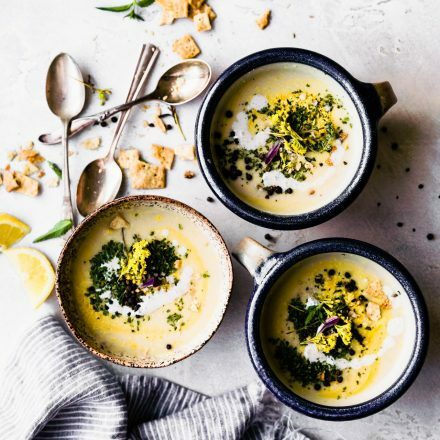 Although, Summer Soups do exist.. ahem like my Vegan Cream of Corn Soup. Just sayin..
You see, this has been my go to soup for healing. Ya, I kinda went crazy with work and overloaded myself the past 4 months. Stepping back to slow down more and rest is key for me in September. I have 2 vacations planned. LOL! It might be a little selfish and I”m okay with that. Lesson learned. But let’s refocus on the recipe we got going on here. Mmm k? Oh so lovely Tomatoes (whole peeled work best). Love me some Lycopene! Carrots -> the more variety the better. I choose yellow and orange but I think adding purple carrots would be divine! Onion – did you know green onion is rich in biotin and quercetin, which you know I love! Quecertin helps fight oxidative stress. WOOHOO! See my quercetin rich smoothie. Coconut Milk – A dose of healthy fats. African Inspired Spices and Sauces – Curry sauce or chili sauce, cumin, cinnamon, ginger, a pinch of cloves. All full of Anti-inflammatory properties, healing, and soothing for the body! Almond butter for extra creaminess. 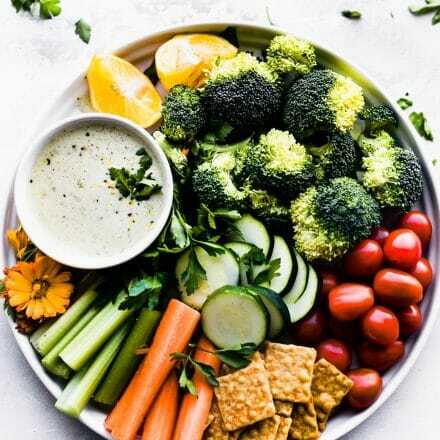 And a dose of Vitamin E.
Toppings – Crushed nuts, fresh herbs (parsley or cilantro both are lovely), lime, red pepper flakes, and a drizzle of olive oil. Now, I know what you’re thinking. “Linz, why is this specifically Zanzibar soup?” LOL, ya good question. Zanzibar is that little island off the eastern coastline of Tanzania, and while I’ve never been there, I have been to Zambia and South Africa. I also have friends from East Africa (the Coast) and lucky for me, they were willing share their favorite cooking tips and recipes with me. Zanzibar food is VERY similar to the food I had in Zambia; real food ingredients just a tad lighter in spices and texture. But yes, I totally “Americanized” it, but just a wee bit! 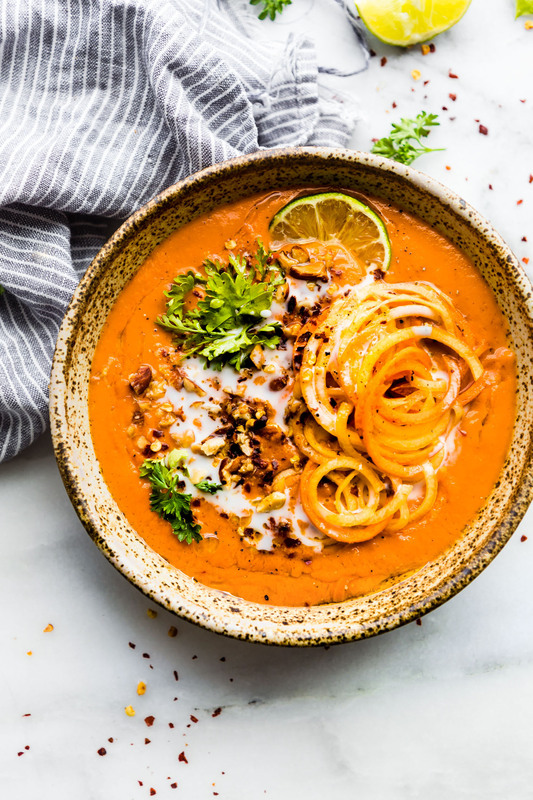 Another favorite African-Inspired soup mix that’s on my list to make is Urojo Soup, which has turmeric, green and red chilies, mango, potato, and topped with chutney and potato shavings. Basically all my favorite food and spices, like whoa! Google it. Or better yet, maybe I will just make it soon. The traditional soup is quite the process, but I’m sure it’s worth it. 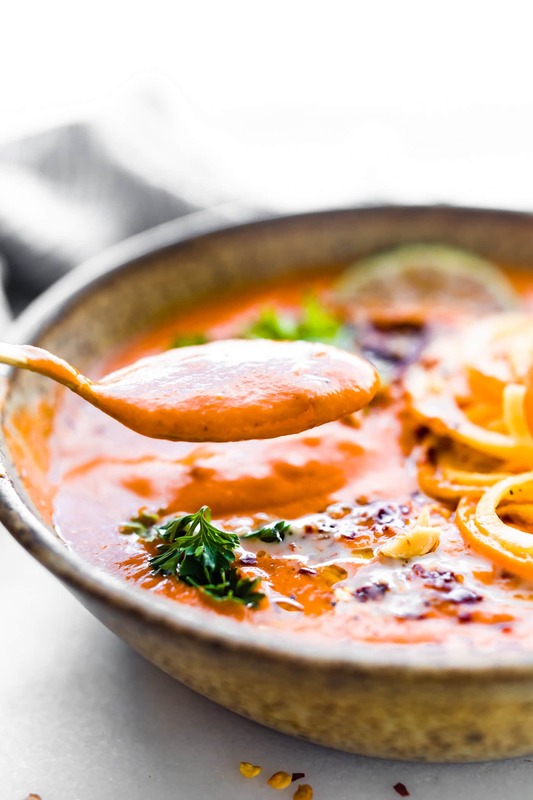 This creamy Zanzibarcarrot-tomato soup is an African Inspired type of dairy free bisque. Made with simple wholesome ingredients, it’s quick to make and naturally gluten free, paleo and vegan. Place onion, oil, and chopped carrots in stock pot. Cook in pan on medium heat for 5-8 minutes or until onions are browned and carrots softened. Add 10 ounces of vegetable broth and whole peeled tomatoes. Mix and simmer 5 minutes. Next add your almond, butter, salt/pepper, spices, chili paste,and coconut milk. Bring to a light boil then reduce and simmer for 10 minutes. Carefully transfer soup into a blender (or Vitamix) and puree until creamy. You can also use a hand blender. Place pureed soup back in the stock pot. Add the onion powder and arrowroot “slurry” (see notes) and cook on medium low, whisking, for another 5 minutes. You don’t want arrowroot starch to cook too long with the soup. It best to add last. If using corn starch, you can add it sooner and cooker longer and it thickens food quickly and at higher temperatures and won’t break down. Taste and adjust salt/spices if needed. Serve with toppings of choice. Optional cooked chicken or shrimp will boost protein! Spiralized veggie noodles of choice to garnish. This adds more texture. Store in fridge covered for up to 5 days or freeze. For the slurry. 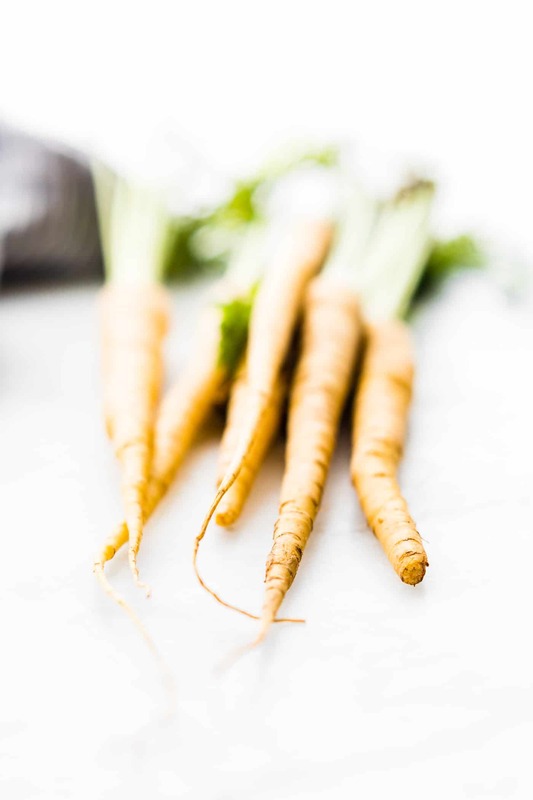 Mix the arrowroot into a 1/2 c of a cold liquid (water or non-dairy milk) and whisk until smooth. If using arrowroot starch, add after blending. 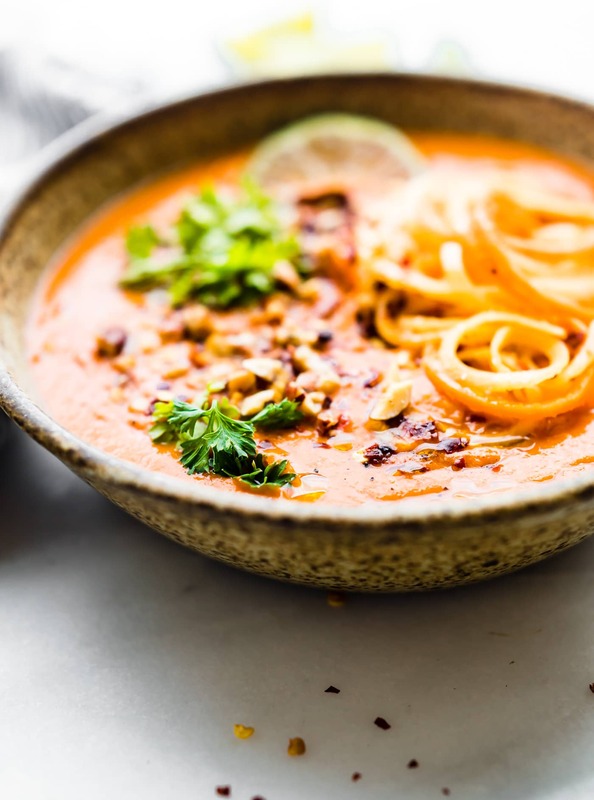 In the meantime, I suggest you make this quick African Inspired Carrot Tomato soup. Add it to your soup season menu plan. It will keep that immune system top notch and taste buds happy! Plus I’m pretty sure it will become a staple soup recipe like it is in our house too. I may be bias, but I’m sticking with that mindset, Cool? Hit me up with more soups to add to the menu this season. That is, after you enjoy your Monday off. Mmm k? Tomato soup lovers, what would you pair with this? Rice, potatoes, chicken? I’m game! Thank you for this labor of love; it’s so fun to see something African inspired; it makes me think of the peanut soup that I had when I was there; it was SOOOO good. 🙂 They have these nuts called G-nuts that are smaller than peanuts that taste like peanuts that they use for making ‘Gnut butter.’ Then they add that to the stew. It’s AMAZING! This recipe is so cozy for fall! I love anything with curry in it and i love that there’s almond butter in it too! Can’t wait to try it! I’m reading this on my patio in 70 degree, breezy weather. So YES for early soup season! I used to get something like this from my favorite soup shop in ATL. Definitely need to try this at home because I miss that spot like crazy. The cinnamon amount is unclear. Tsp? just updated ingredients. sorry about that. Does it make sense now? Feel free to email if not. Stop it!!! This looks so good and has me ready for fall! This is so drop dead gorgeous, that there is no way I can be upset that you’re posting a soup recipe already. Lol. Glad you’re giving yourself time for September vacations! Yay! I need this for lunch! i have never heard of this soup but the name, texture, ingredients of it is making me want a huge bowl of tomato soup right now..i want a piece of garlicky, buttery toast with it. I will definitely add this to my fall recipes list. It look very healthy too. woohoo! Keep me posted Amanda. 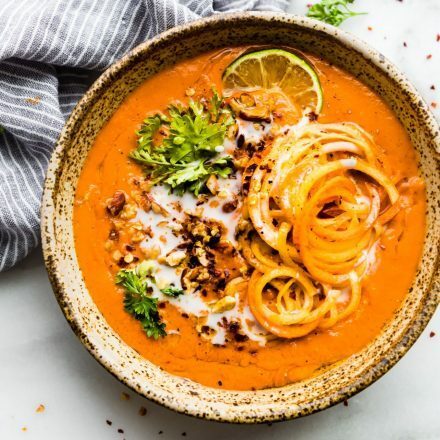 This soup is so stunning! I am loving all of the flavor combinations! Definitely, need to try this asap! You so do! Would be great with your chicken pasta salad! Love love love soup season! This looks so warm and cozy! Me too! Can’t wait for it! Lindsay, this is so, so beautiful! I really want to make this- the color is just wonderful! thanks Heather! I have a feeling you will love it too! Would you believe I just made Tomato Carrot soup tonight with roasted tomatoes and garlic. Next time, I’m trying your version because I love this spice profile. Why aren’t we neighbors again? That sounds amazing! 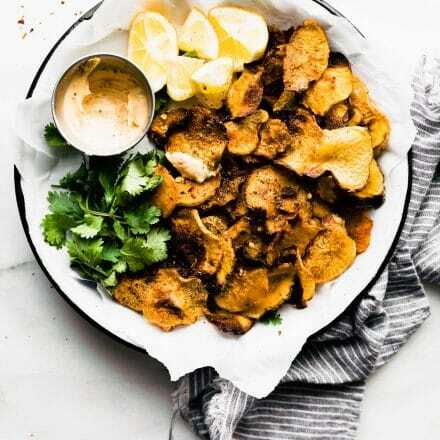 This looks so divine and I love that you use simple ingredients that I actually have on hand to create this spectacular looking dish. Thanks for sharing this. This is a beautiful looking soup… and I am loving the ingredients. I think I am gonna give this one a try! So comforting, this has me ready for everything soup! It’s fine, I made soup last night because it was pouring, a cold front moved in and I had couch lounging to do lol. I regret nothing, except that it wasn’t THIS recipe! Stunner! 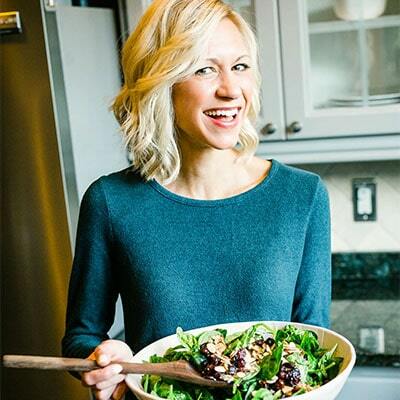 What a great fall recipe Lindsay! As soon as September hits, my mind moves to soup and sandwiches for dinner. I’ll need to get this one on the menu! I love the addition of the curry! That color is stunning!! I can’t wait to give this one a try! Bring on soup season! I had to shoot two recipes this week and I was like there’s no way I can eat this. It’s TOO HOT! Can we just take a minute to appreciate that oil swirl. OMG love! Oh, and love the soup too! OMG so hot. It needs to be FALL! LOVING all of the flavors in this!! well I secretly love you even more! This is so pretty and looks incredibly creamy. I would love a bowl now! Oh I LOVE those spiralized carrots on top! So gorgeous! Looks like a wonderful soup! And I definitely will be enjoying this in the fall and winter often! Beautiful recipe.. I am reading this from Zanzibar. OMG how did I make that typo?? Thank you for pointing that out. As i sit here embarrassed. LOL! I lived in Africa. I should know better. Hey Lindsay Cotter…! 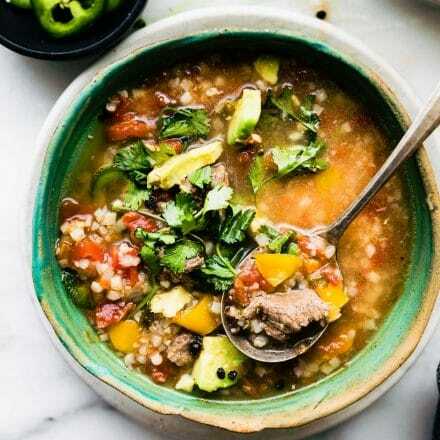 i love soups and definitely i will enjoining this winter with this yummy soup, and your soup looks so yummy & tasty. 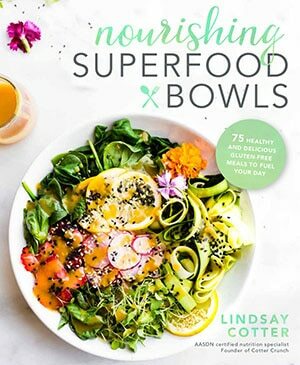 Thanks for sharing and keep shared your amazing new recipes….! This is *almost* too beautiful to eat! I love this – thank you so much for sharing!! oh thanks friend. I hope you enjoy it! HI lindsay…! i like your love for labor and your soup looks so yummy & creamy, and i will make this soup in a season of carrot and tomato. Thanks for sharing…! Loved the recipe. Did some minor changes with stuff I had around the flat. Added half a cup of red lentils and a sweet potato for taste, nutrients and as thickeners so no need for starch. Only used fresh ginger, fresh chili, cinnamon, salt and black pepper as spices. Topped with crushed almonds, red pepper flakes, lime and cilantro. Yum! It’s about 86f (30c) here so I had it slightly fridge cooled. Still great. Thinking of adding pickled red onions for even more tang and raw cauliflower florets as topping next time. Panko battered fried red onion rings for a bit of crispiness should also work. Not as healthy though. Trying the cauliflower patties next. They look super. oh wonderful!! Love the minor changes and the the gazpacho style! Thanks Magnus! This soup is FABULOUS! I just made it for 50 cold hungry sailors (sailboats, not Navy) and they loved it! Thank you so much for your wonderful recipes. WHAT. That’s fantastic! I’ so glad it was a hit. Oh I’m so glad! Thanks for sharing Kelsey! That is so good to hear. I’m glad you enjoyed it! Get the best celebrating ideas from here. Oh i love your additions! Great idea! Thanks for feedback Melanie. Hi! This soup looks amazing!! I can’t wait to make it. Quick question… I wanted to make the soup today, but was wondering if there’s suppose to be cumin in the recipe? Thanks!!!! Thanks! You’re one of the few legitimate food bloggers out there with real recipes that are delicious and that actually work, so I read the post that accompanies the recipe for details, etc. Thanks for another great recipe… the soup was delicious!!!!! You also don’t cram your post with weird unnecessary reading spam about bullsh*t. I appreciate your style! You keep it food-real! !